What I love about Slicetruck is there isn’t much to say about it. Come in. Grab a slice. Eat it. Go. (I’m sure there’s a story behind them but I’m too lazy to look it up). (OK, I just did. They started as a food truck). What I love about Slicetruck is the enticing pizza smell. Aw, I miss that. As much as I love LA’s gourmet pizza joints, they don’t seem to hit you with a wave of pizza perfume as you enter. I guess that’s what happens when you serve things other than pizza, like silly vegetables. 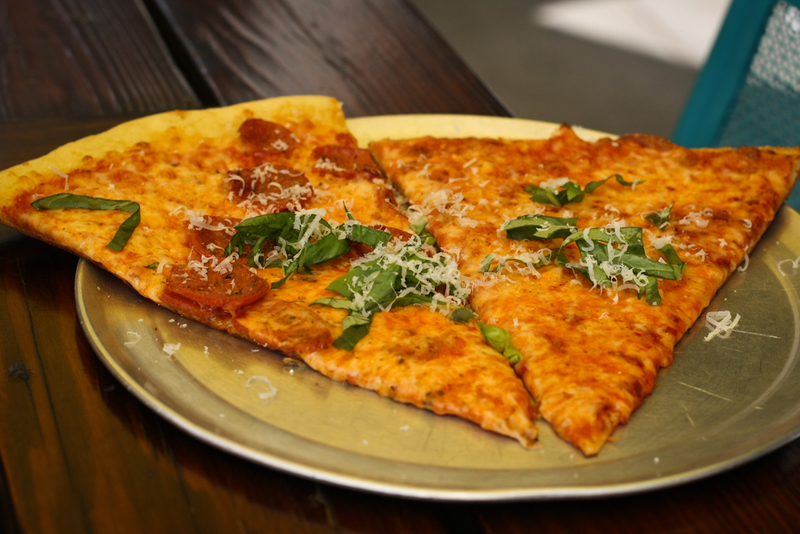 Slicetruck serves simple New York style (and the Grandma size, which is that tasty square pan style). If you don’t mind a little spicy and a little garlicky, make sure to order the Hot Garlic. They sautee a bunch of diced garlic and place it beneath a layer of spicy sauce. It’s a bit intense but worth it. The pepperoni was thick yet not greasy. I was impressed cuz I usually don’t order those tiny circular grease boats as a topping. The lunch special is 2 slices and a soda for $7 bucks. OK, so I started with “there isn’t much to say about it” and then completely lied. If you have a problem with it, then shove a slice of pizza in your gob. 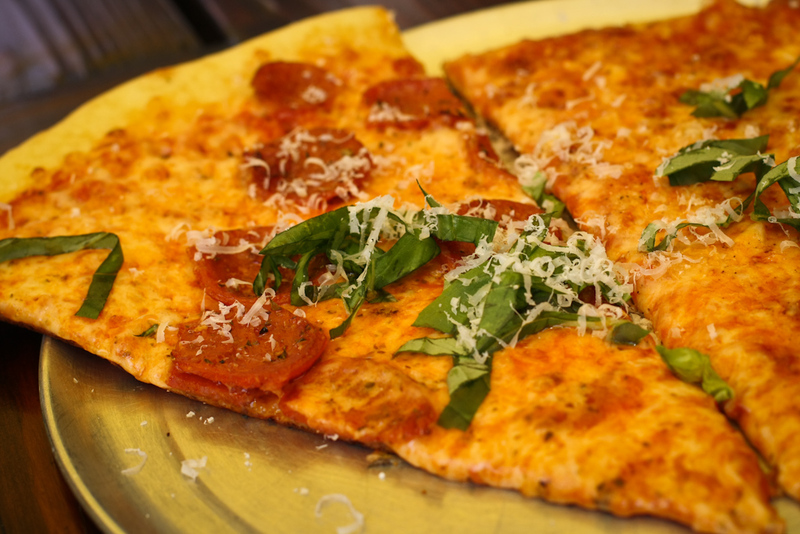 Preferably, from Slicetruck.